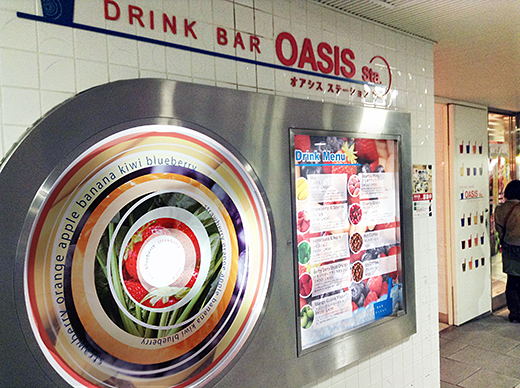 I knew the shop for some time, but this was the first time to trying mixed fresh fruits drink at Drink Bar OASIS Sta. The place is at Odakyu-line platform, Shinjuku station. 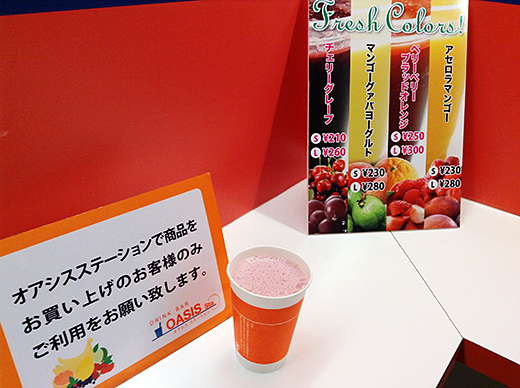 I had “strawberry soymilk“. It was good and made me refresh. Adding that, all of the drinks were not pricey. 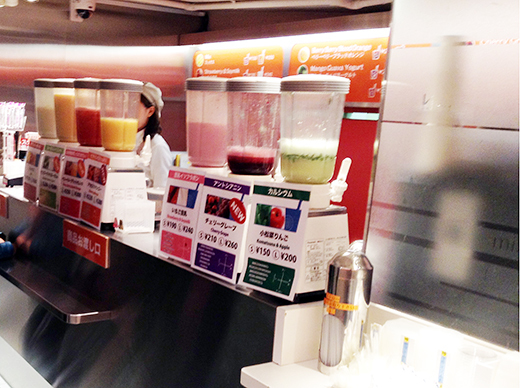 I think it’s nice we can get some fresh fruit and vegetable drinks on the way to go somewhere. I’ll drop in here again, soon.